Construction Volume 1 & 2 is print only package. 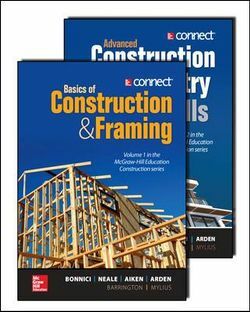 Basics of Construction & Framing and Advanced Construction & Carpentry Skills utilise content from the highly-regarded Practical Australian Carpentry by Barrington, Mylius and Arden. Reference to Australian building code practices and regulations, both volumes cover the basic skills and knowledge required at all levels of domestic construction, from foundations and site preparation to a more advanced coverage of joinery, roofing and wet trades.